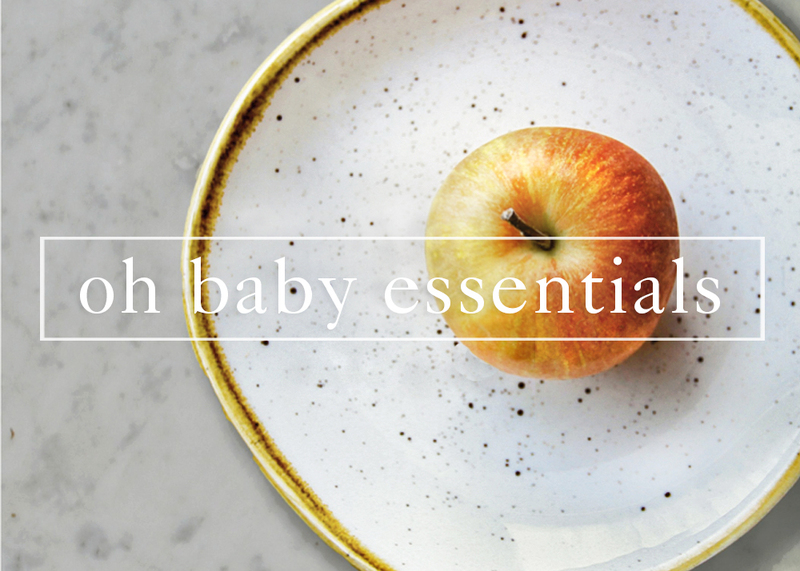 When my little one was ready for solid foods I decided to use the baby-led weaning approach. In this method finger foods are introduced right from the start and purees are skipped altogether. It was a fantastic fit for my family and I believe it really helped our son establish healthy eating habits. He’s almost 2 years old now and has a fantastic appetite with an impressively adventurous palate. Here are some reasons that we love about baby-led weaning. Babies love the opportunity to interact with food! If spoon-feeding, there are still some approaches from baby-led weaning that help engage baby in mealtime. Babies often spit out puree and try to grab it with their hands. That’s because they’re curious and want to be involved, but parents are usually quick to wipe it up or scoop it back into baby’s mouth. Try putting a small spoonful of puree on your baby’s tray for them to touch & taste on their own before you begin feeding – and again if changing flavors. This gives them a chance to become familiar with what they’re consuming and allows them to explore different textures, colors & flavors. Finger foods at an early age are great for helping baby develop their hand eye coordination. It’s best to refrain from helping your baby get the food to their mouth. It may be tempting when you see them struggle, but they are developing their skills and must learn on their own. It is also much safer if baby is in full control of everything that goes in and out of their mouths. Babies want to imitate adults and they learn various skills (social & developmental) from being a part of family mealtimes. We also found a bonus as parents – meals became a relaxing time for us to connect in conversation at the dinner table. With spoon-feeding, usually one parent feeds baby as the other parent eats. With baby-led weaning, baby eats while you eat so it’s a great time to sit together and catch up at the end of the day. A breastfed baby has control of how much they consume at each feeding, so why do we take this power away once solids are introduced? Try not to convince your baby to have “just one more bite”. This can be especially tempting with single serve purées. Trying to get babies to eat more than they are inclined can cause them to become disconnected with their own cues of hunger and satiation – something that most adults suffer from. No need for convincing tricks or ‘here comes the airplane”. Baby-led weaning allows your baby to choose what and how much to eat. If they won’t eat anymore, take a break and try again when they might be more receptive. Some days they’ll eat more, some days they’ll eat less. Your job as a parent is just to offer healthy choices at regular intervals, but it’s up to them to eat. Giving them the power to decide means that control issues are less likely to develop. They’ll also become more open to trying new things and it can greatly reduce pickiness as a toddler. Baby-led weaning allows your little one to see that different foods have unique shapes & textures versus pureed food, which has different flavors, but are always the same texture. Imagine if someone was hand-feeding you grapes and then suddenly slipped an olive in your mouth without warning. Even if you like olives, you might be a little weary of the person feeding you after that. Whether using baby-lead weaning, purees or a combination, understanding how to ‘let baby lead’ is crucial for helping them establish healthy eating habits right from the beginning. My progra Baby Knows Best: Your Guide To Starting Solids covers all methods of solid introduction and will allow you to make an educated decision about the method that feels right for you and your family.